On Thursday, January 31, 2019, Chris Stein, a founding member of the era defining band Blondie, and Blondie lead singer Debbie Harry, will discuss Stein’s new photography book ~ Point of View: Me, New York City, and the Punk Scene. YouTube (above) will be live during the event. 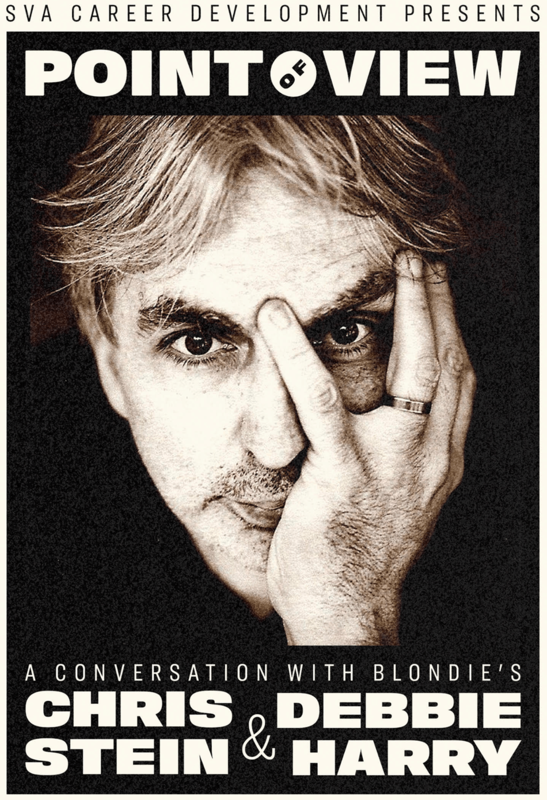 Point of View: A Conversation with Blondie’s Chris Stein and Debbie Harry will be held at the SVA Theatre, 333 West 23rd Street on Thursday, January 31, 2019 from 6:30-8:00pm. This is a free event, open to the public. RSVP Here. Multidisciplinary artist and director Rob Roth will moderate. Following the discussion, Stein will sign copies of his book, which will be available for purchase.